As you can see, because the main setting to change occurs within the x264vfw interface itself, this change can be utilized no matter what game recording program you record with (Bandicam, Dxtory, MSI Afterburner, etc.) - but we're all using Bandicam, right? Note: When editing the x264vfw codec with NLE (Non-Linear Editors) such as Sony's Vegas line of products, Adobe's Premiere applications and Editshare's Lightworks, you may experience 'trails' or 'corruption' unless you set the GOP setting to "1", which will make Intra-frame only encodes [or it may not Import at all]. This step will encode frames that do not depend on surrounding frames, containing all necessary data within each frame itself (similar to how the MJPEG codec operates (InformationFrames/Keyframes Only) which requires more bitrate/filesize, but don't worry MPEG-4 still uses less bitrate overall in this mode). This issue seems to only occur with NLE's such as Vegas, Premiere, Lightworks and similar products; but does not occur with most other video editing applications (tested with Windows Movie Maker, Nero Video, Avidemux, VirtualDub, etc). Have fun editing and See You In The Games! 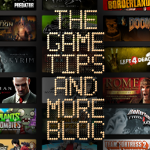 Last edited by GameTipsAndMore Blog on Sat Mar 22, 2014 8:07 am, edited 5 times in total. Check "Ultrafast", "Zero Latency", "x264", "None" and enter "--keyint 1" in the extra command line box.